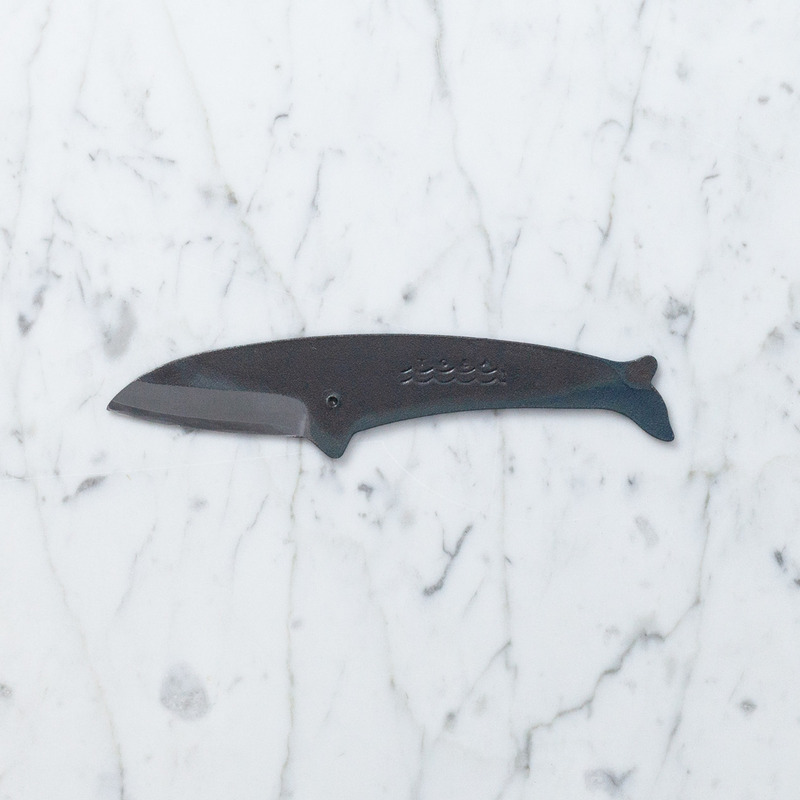 The Fin Whale Knife is made of incredibly durable Shiroko High-Carbon White Steel and the double-edged blade is seriously sharp. 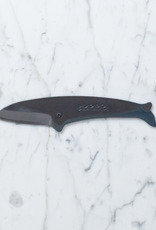 We keep this pointy-nosed little friend to hand for opening packages and envelopes, but it is strong and subtle enough to cut pretty much whatever needs cutting. And, of course, it sharpens a mean pencil. 6 1/4" x 1 1/2" x 1/8"